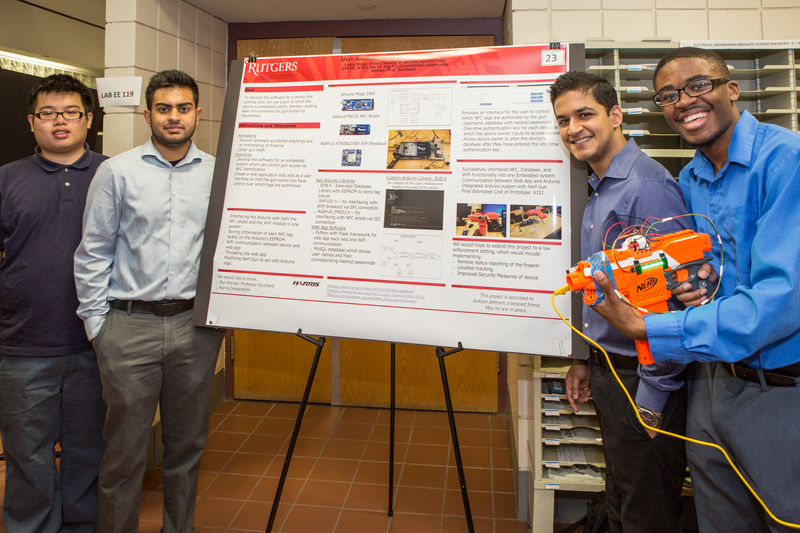 The 2016-2017 Electrical and Computer Engineering Capstone Program culminated on April 26, with over 200 students presenting their work to a panel of judges at the ECE Capstone Expo held in the EE building hallways. 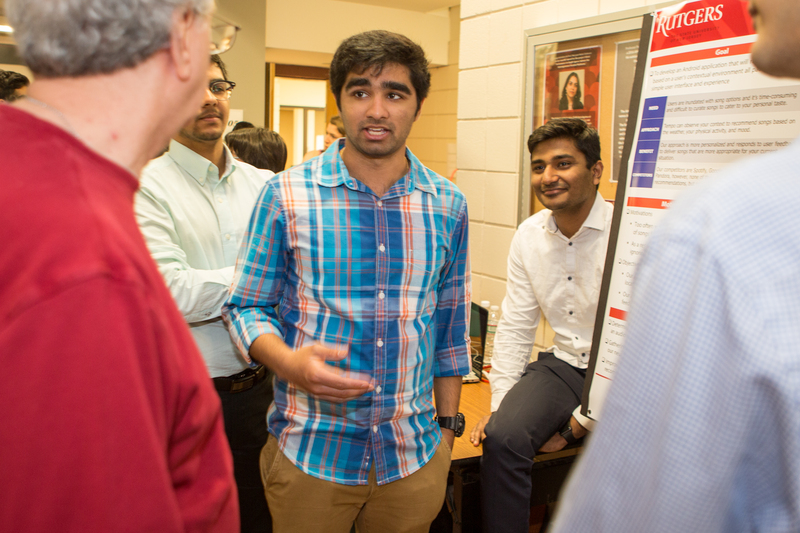 The winning project, advised by ECE assistant professor Anand Sarwate, introduced a system that can translate sign language to text in real time. 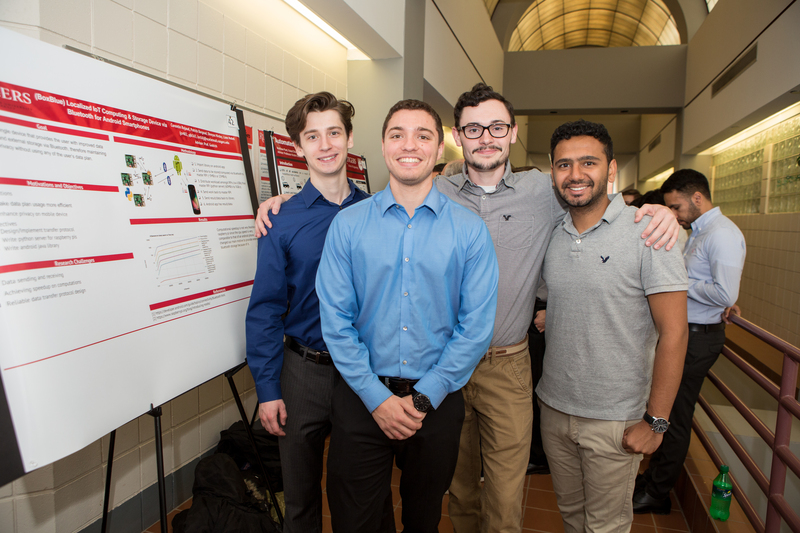 The team behind “English Leaps to Sign Language” was comprised of Nicholas Frost, William Grant, Kien Nguyen, and Parth Parikh. They were awarded $700 sponsored by the 7x24 Exchange Metro New York Chapter. 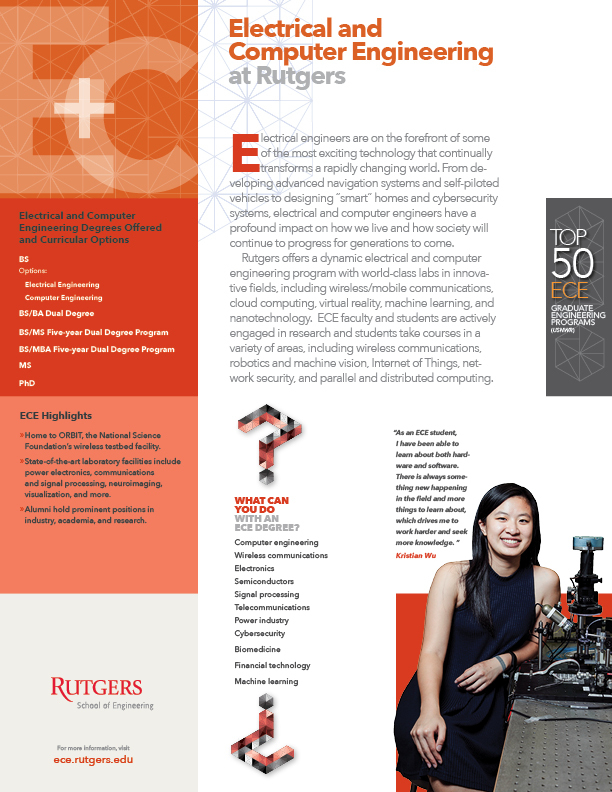 “This year we had a wide range of projects that introduced new ideas that can play a role in helping communities,” said Professor Hana Godrich, ECE undergraduate program director. 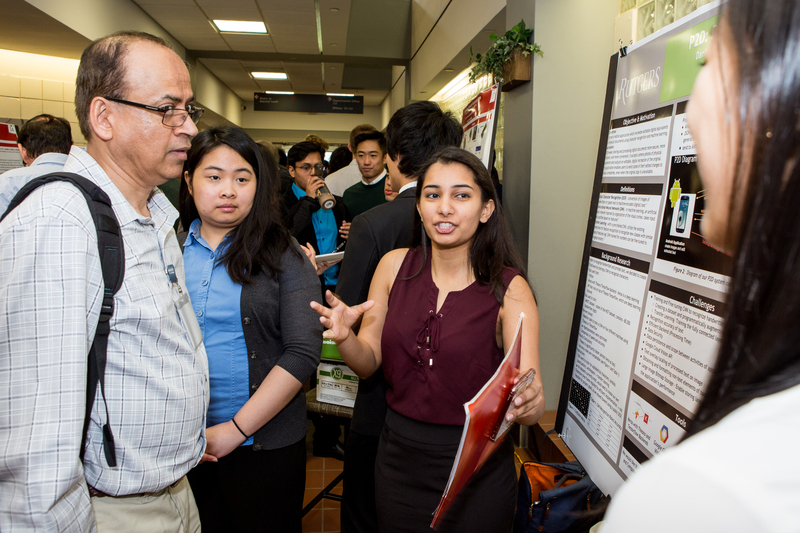 A major component of the ECE capstone program is industry involvement—industry representatives serve as advisors, judges and sponsors to help propel the program forward. Godrich said several students over the past three years have been recruited to companies involved in the program. This year’s industry advisers and judges represented Two Sigma, BlackRock, IBM, Harris, Broadcam, Zipreel, Juniper, Interactions LLC, Qualcomm, Bloom Energy, Credit Suisse, ASCO Power Technology, and the 7x24 Exchange Metro New York Chapter. 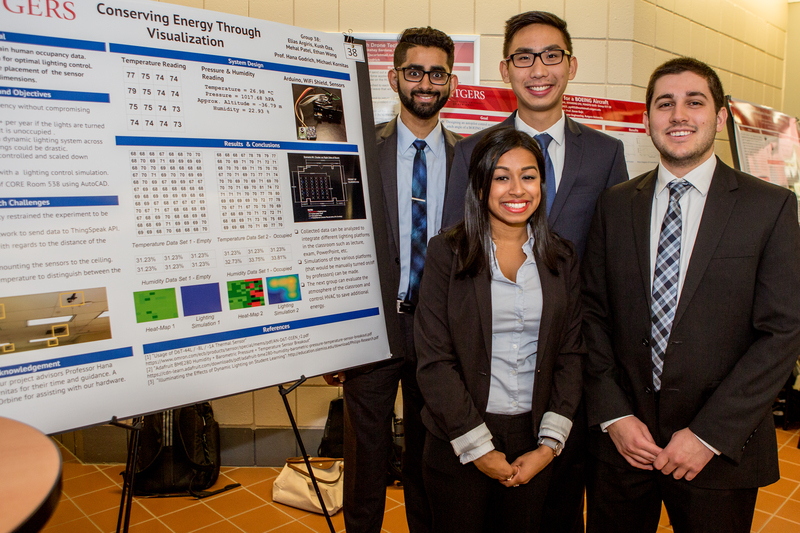 In addition, industry sponsors—Siemens, Verizon Wireless, JP Morgan Chase, ASCO Power Technology, Qualcomm, and the 7x24 Exchange Metro New York Chapter—provided valuable funding and equipment donations. Godrich said that the funding enables the department to hold networking events and enhance the experience of students. 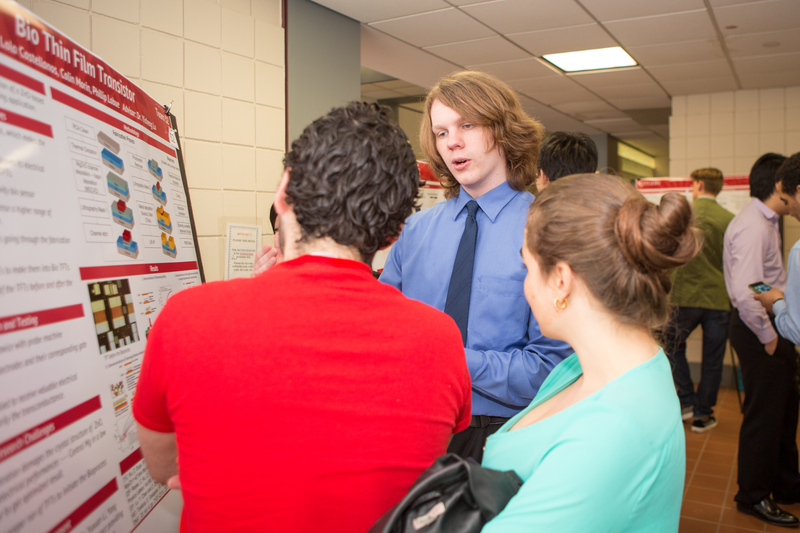 At networking events, students have the opportunity to meet advisers and gain exposure in the industry. 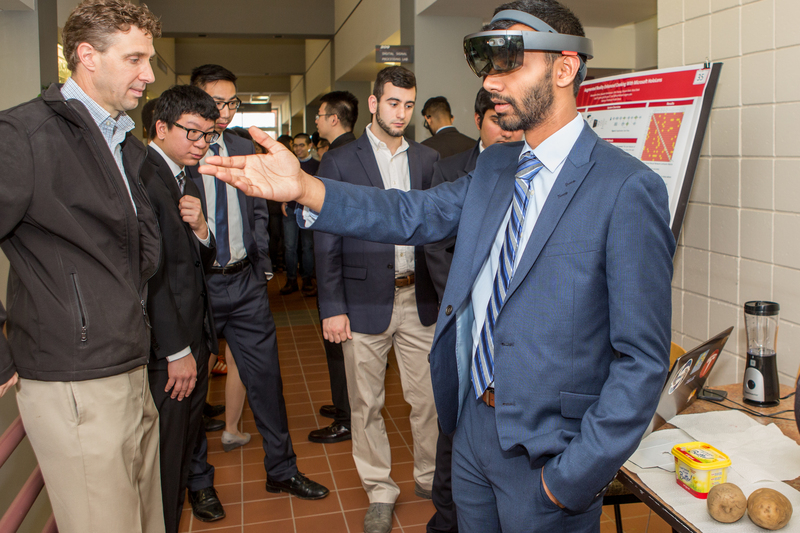 The top ten projects, selected by the panel of 21 judges, covered topics ranging from augmented reality assisted cooking to a user-authenticated smart gun system and car occupancy reporter.